Cloughmills in County Antrim, Northern Ireland, with the help of its dedicated Community Action Team, is working to improve the social, economic and environmental quality of life in the local area. In early 2008 Cloughmills Community Action Team consulted the wider community through a series of public meetings to help us draw up a 5 year Action Plan to address various local issues. As a result a number of projects were pursued over the plan period which included promotion of healthy lifestyles, biodiversity, energy efficiency, village appearance and support for local businesses. In 2011, the community won grant funding from The People's Millions for their Happiness Project - Peas and Love. This project, which has become known locally as Incredible Edible Cloughmills, teaches people about gardening, wildlife and growing food. It enables every age group in the village to come together to learn about nature and care for their environment. They grant money was used to turn derelict space in the village into a vibrant allotment garden and a haven for wildlife, complete with a bug hotel. The project was intergenerational involving the schools, parents and grandparents. Everyone had a role to play whether it was digging, banging or just watering the plants and the older residents appreciated the veggie boxes delivered by the young people. People use the space to grow fruit and vegetables, cook their produce and host community events. The team also try to encourage people to look after the environment. 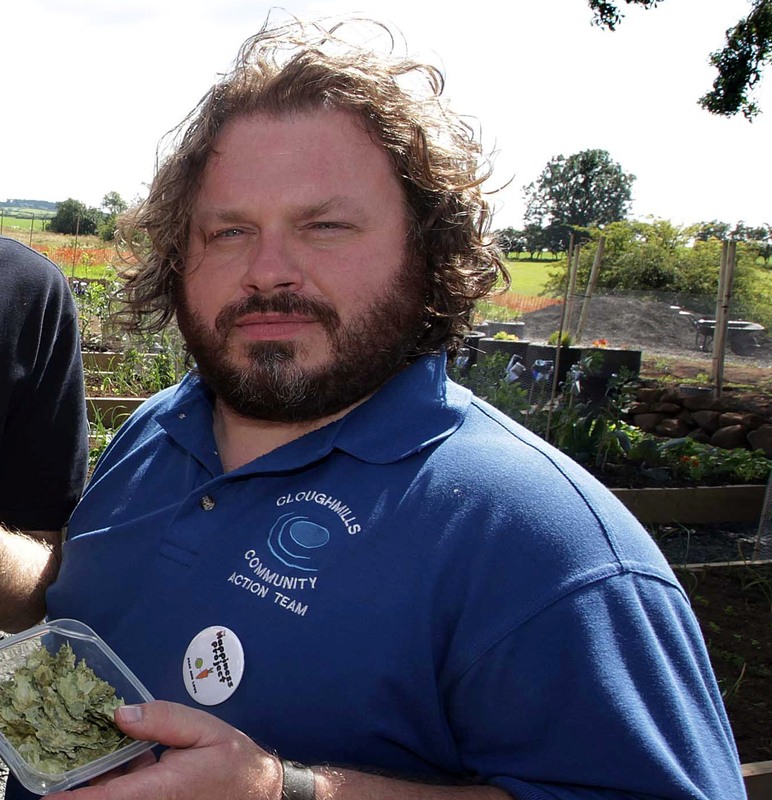 The community in recent years has gone on to access other funding to develop a micro brewery and run training in horticulture and traditional activities such as weaving, wood cutting, bread baking and arts and crafts. The team also train young people to cultivate mushrooms and running courses on cooking and bee-keeping. They’ve teamed up with a free range pig expert to allow local people to buy shares in free range pigs. They also bake bread, plant trees and press apples to made fresh juice. The community also runs a John Muir award for young people. It’s an environmental award that encourages people to care for wild places. As part of that, the young people have planted an edible hedge with plants that you can make jams, chutneys and cordials from. They also clean out the river beside the allotments. One of the most important things the project does is linking up with other communities. The Team also use their fair trade Mongolian yurt to host get-togethers for people from the village and further afield, whatever the weather. They use the fruit and vegetables grown in the allotments to cook communal meals for everyone in our outdoor oven. Cloughmills Community Action Team have won a number of awards for their work, including the runner up award for Best Community Project at the Action Renewables Energy Awards in Belfast. The project is considered an exemplar in community development and is continually inspiring other communities across Northern Ireland who come and visit Cloughmills, see what is possible and leave inspired to change their own communities for the better.